At work we several different book companies that come in and leave a selection of books in our staff room to look at for a week and then purchase if we want to. Last week one particular company dropped some books off and I ended up spending £39.00! (don’t tell Mr Boo!). 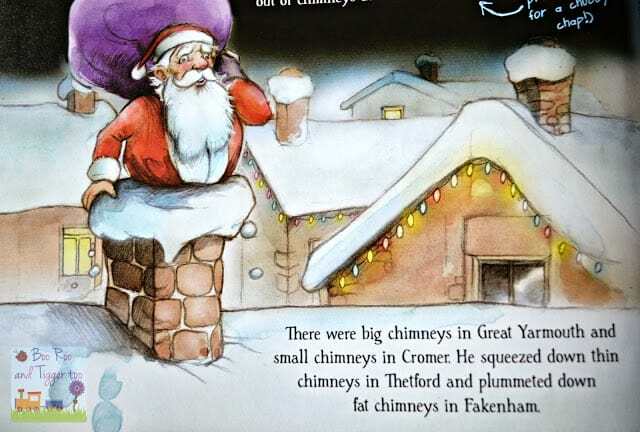 Anyway one of the books I purchased was Santa is coming to Norfolk, a charming Christmas book that tells the tale of Santa’s journey delivering Christmas presents around Norfolk. The book can be personalised at the front, so fabulous if you are giving it as a gift, I’m going to add Roo and Tigger’s names in there and wrap it up to go in our Christmas Eve hamper. 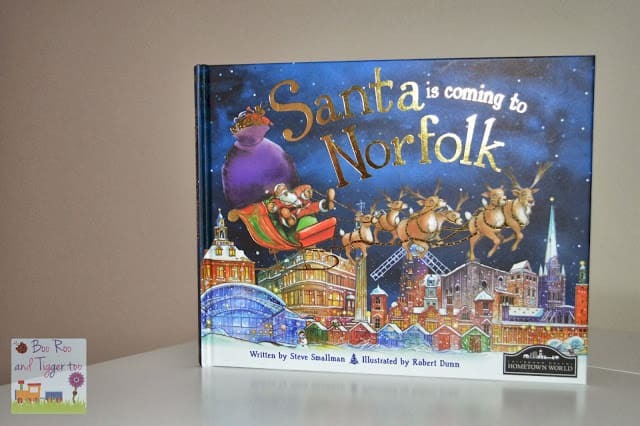 As the book focus’s on Norfolk it’s great to read and recognise where Santa is visiting. I can’t wait to read this to Roo and Tigger. I can see Roo’s face now as I read the above passage ‘Great Yarmouth? Mummy, did you just say Great Yarmouth?’ she’ll ask with a crinkled up face trying to work out why her hometown would be mentioned in the book. 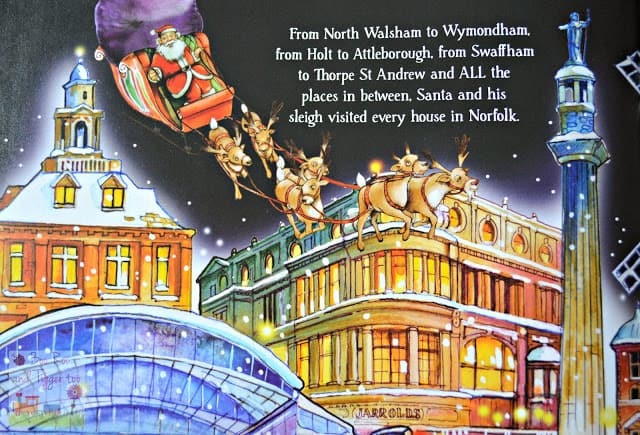 The illustrations throughout the book as simply wonderful and have key buildings from Norfolk, for example, the above picture has the famous Jarrolds store in Norwich. Practically I’m loving that this is a hardback book as I can see it is going to get read many a time and hopefully a book that will be brought out year after year. 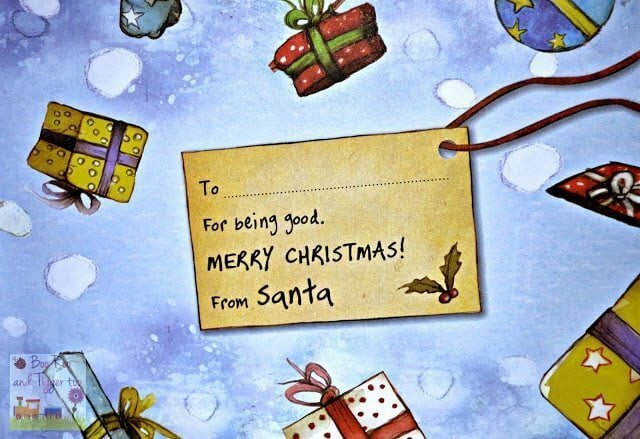 Children (and many adults) love Christmas stories, it helps bring the magic of Christmas alive so what better way to do this than having a Christmas story they can relate to? With a £7.99 RRP I think it offers great value, however the different towns and counties are currently on offer at Amazon for under £5.00! Can’t find the right town/county for you? why not get My House ?